The Cryonics Institute's 2018 Annual General Meeting will be held Sunday, September 9th at the ConCorde Inn. Starting at 3pm following CI facility tours as listed. The annual meeting offers an excellent opportunity to see the facility, learn more about cryonics, meet members and guests from around the world, get updates on the Cryonics Institute & Immortalist Society and to talk to Officers, Directors & Staff. The Annual General Meeting usually lasts about 2 hours, featuring reports from CI Board Members, guest speakers and a few other surprises. The Immortalist Society Meeting will follow directly after the CI AGM, and typically lasts about 45 minutes. CI will be providing light snacks and beverages at the meeting, but no formal dinner arrangements. Guests are invited to dine prior to the meeting or, preferably, socializing with new friends and associates after the meeting concludes. The ConCorde Inn has a restaurant on-site, and there are several excellent dining locations nearby. 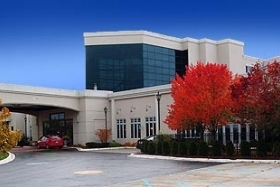 Please note, the 2018 AGM will be hosted at the ConCorde Inn in Clinton Township, MI, not at the CI Facility. The ConCorde features an impressive meeting room, an outdoor seating area adjacent to the hall, plus a lounge, pool & fitness center and other amenities we’re sure everyone will enjoy. Rooms at the ConCorde Inn are on a first-come, first-served basis, so please make your reservations now. Tours of the CI facility will be available prior to the meeting from approximately 12:00 p.m. to 2:00 p.m. on Sunday. The facility will be closed to both members and the general public outside of these scheduled times, so if you would like to visit, please plan accordingly. CI will be hosting a “Night Before” Social and Dinner event at 6pm on Saturday, September 8th at Sajo’s Restaurant. Everyone is welcome, but please remember, guests are responsible for their own checks. CI’s AGM is open to the general public, but we request that we be informed if you will be attending. For driving directions, more meeting information and to confirm attendance, send email to CIHQ@aol.com or phone (586) 791-5961.